The stockings have been hung and filled with goodies at the Operation Groundswell head office, our Early Bird prize is just waiting to be handed out, and two sets of teams are ready to start their winter adventure to Guatemala. So what else is there to do? Celebrate, of course!! We've had a tremendously exciting and successful year and we are ending the year with style this Sunday, December 16 at Handlebar in Toronto's Kensington Market. We're bringing together our alumni from all years and all places to spread some holiday cheer while boogie-ing down to some electro-reggae jams (is there a better way to celebrate?!). And in the spirit of giving, we're asking everyone to bring a children's book (elementary school level) as a cover charge. We'll be donating these books to our partner, the Young County Change Makers, who recently opened up a community library in Kisumu, Kenya! You can RSVP here and don't forget to bring your friends and family too! This book drive is extra special to me as I was lucky enough to work directly with Mike, Brian, Winnie, Steve, and Zaq, the inspiring people behind YCCM. 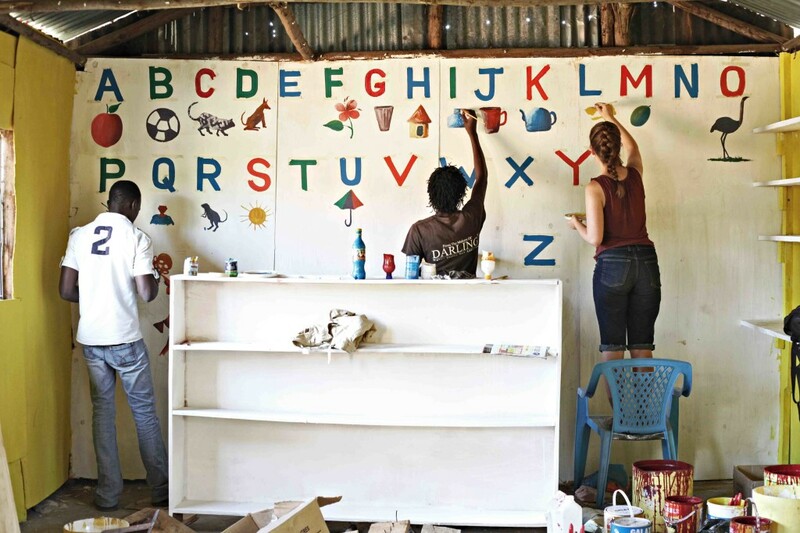 I traveled to East Africa with Operation Groundswell this summer where our team helped to paint and put the final touches on this community library. In the informal settlement of Nyalenda where there is little to no access to electricity, families must rely on paraffin candles to light up their homes at night. It's a pricey expense and many go without light. Children are unable to do their homework or continue their learning after school without this basic necessity. YCCM saw this gap and recognized the need for a safe and productive space where children can finish their homework and learn to read. Their development of the community library has allowed for this. 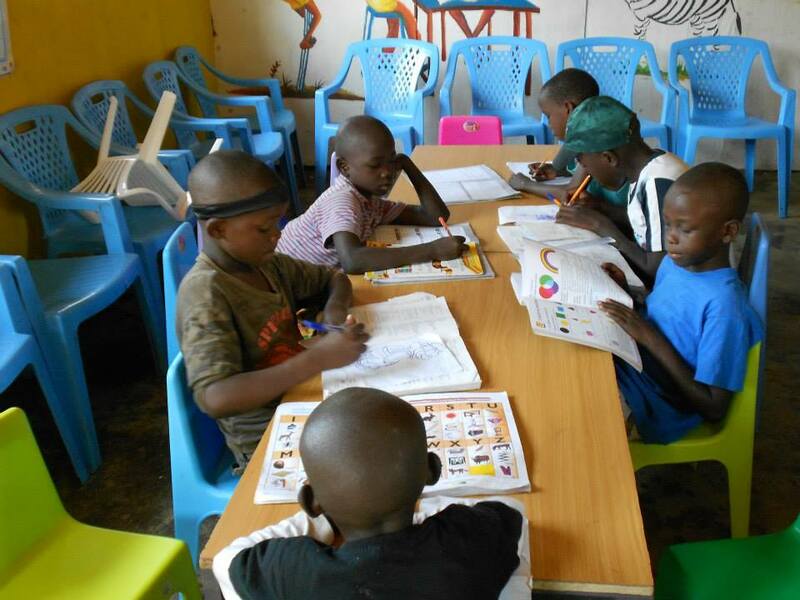 Our team was on the ground when the library was just bare bones and it's been amazing to receive updates from YCCM about the library's progress and see photos of the space full of children. "I share, with a lot of joy, that we host over 45 children every day since the library's opening in July," says Winnie. "It overwhelmed us since we didn't expect so many, but felt so satisfied when they kept coming back! We felt like we found an answer to a question that no one had been able to address in the area." YCCM recently held their own fundraiser within the Nyalenda community for the purchase of primary and high school books. Mike told me the other day, "We managed to raise the money for 100 text books for both children in primary and high schools, a very encouraging move!" At Operation Groundswell, we're hoping to help continue this momentum for change and success in Nyalenda during our own holiday party. So this coming Sunday, come out and celebrate a year of incredible travels, solid partnerships, and literacy from Canada to Kenya!